Welcome to December! I feel like I wait ALL year long for this time of year. Then when Halloween hits and it's over, then BAM! It's Thanksgiving. And just when you can barely catch your breath, it's almost Christmas time! I know that this is such a busy time of year for us all...ESPECIALLY for teachers! Not only are you planning for your own family, but you are trying to plan for your classroom, teacher gifts, gifts for the parents of the kids in your class, potlucks, then holiday parties and EVERYTHING in between! That's why a couple of my blogging friends and I got together and wanted to get you something special. A gift to show our appreciation for all that you do for your students! We are EACH raffling off a few of our favorite stocking stuffer items THEN a BIG grand prize item (that means you can win ALL 8 gifts!!! #winning). It won't fit in a stocking, but because you've been extra good this year, you deserve an extra special gift. Want to know what it is? Keep reading friend. For my stocking stuffers, I wanted to raffle off some of my favorite things that I used in the classroom. I don't know about you, but there is something VERY satisfying about BRAND NEW markers for my anchor charts and POINTY TIPS on my flair pens. Anyone with me??? It's like cutting open a perfect avocado. No bumps. No bruises. Juuuuust perfect! Now... are you ready for the BIG GRAND PRIZE? 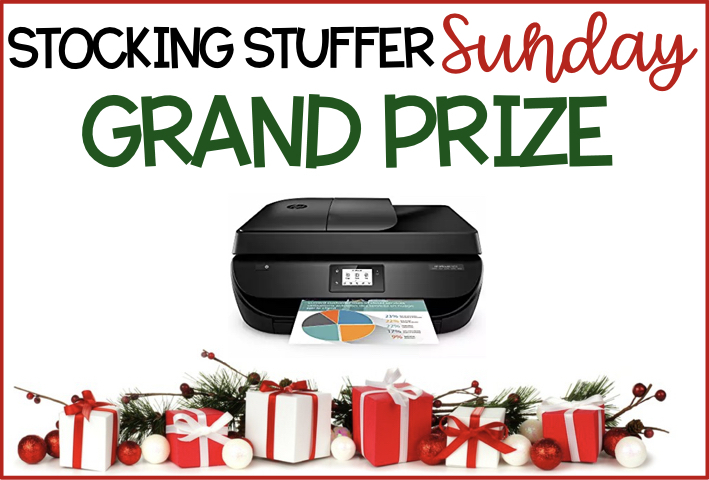 We are giving ONE lucky winner a HP printer! Why? Because you've worked so hard and you deserve it for all you do for your kiddos! This printer is the HP Office Jet 4650 Wireless ALL IN ONE Photo Printer with Mobile Printing and Instant Ink Ready! With almost 3,000 reviews on Amazon, it's pretty awesome if you ask me! Wanna win some MORE prizes? 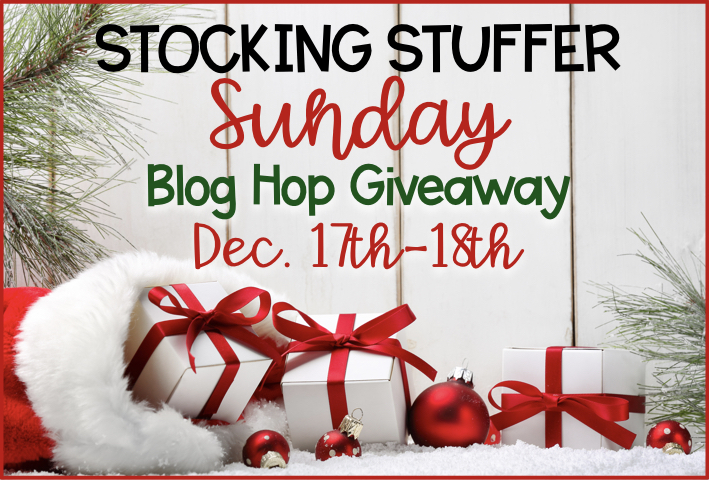 Hop on over to my friend Ashely from the Wright Nook to see what goodies she's giving away. I love art supplies!! I feel like you can never have enough! These are great prizes thanks for the chance! I’m hoping for a bookstore gift card in my stocking this year! That would be awesome! It for sure would help me keep all the kids' papers organized! A new kindle is on my list. I would love some new sweaters and gift cards! We are just beginning to have sweater weather here in SoCal! I would like new books to read and a new pair of good teacher shoes! Happy Holidays! I'm hoping to read some great books over break, too!